Prague is no longer an attraction just for its historic sites, which make it a beautiful city. During the past few years, its gastronomic scene has changed a tonne, offering high-quality restaurants, fancy bars, pubs and last but not least modern looking coffee shops. To write a guide through all Prague’s famous and well-known cafés would take a hundred pages. Thus we decided to split Prague by its districts. The first one is called Letna and it has so much to offer! 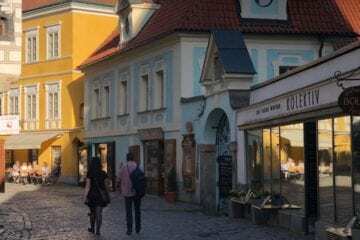 Adjoining a famous park called Stromovka, Letna is admired for its beautiful old houses with their typical frontage as well as a lot of small but original shops. A great number of them is focused on coffee. So let’s take a walk. The Spanish expression “Two worlds” was chosen to connect the world of a green coffee bean with the one which has already been roasted. 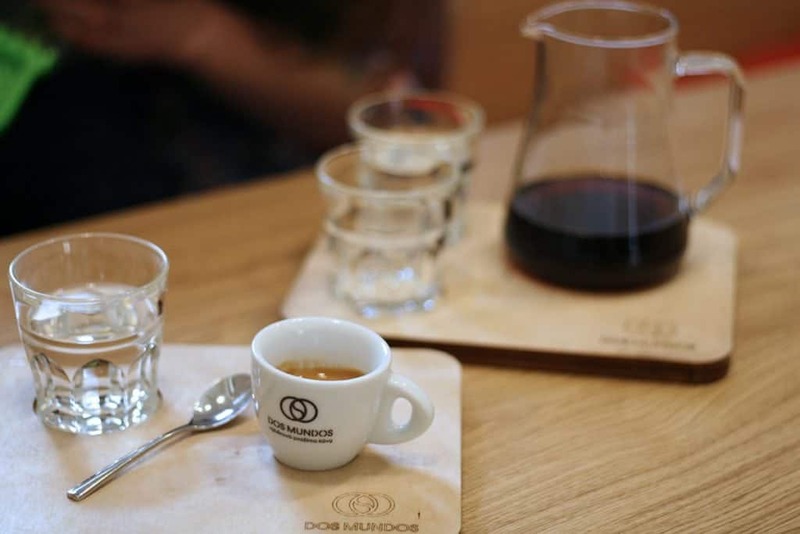 This also indicates that Dos Mundos is not only a coffee shop but also a roastery. Moreover, it is a fulfilled dream. A dream of two people to have their own business, which had not always been easy, but it has a happy ending. Or maybe not the ending just yet. 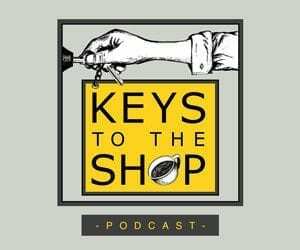 Their café in Letna district is the second shop they opened, after the first one with the in-house roastery in Vinohrady district. With the quality it has gained so far, it may not be the last one, either. 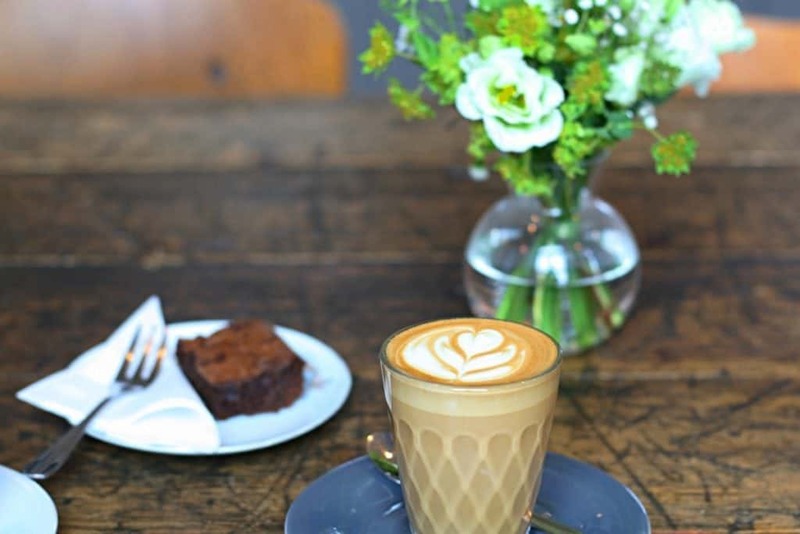 Serving only coffee from their own roastery, it is not the only speciality Dos Mundos Café offers.Their menu features also signature drinks, such as Espresso Tonic—my favourite—or Coco Flat. The latter made with a doppio, coconut milk and pineapple juice, served on ice, make it a great refreshment, especially when enjoyed in one of their swings. As advertised, coffee is not the only speciality here. 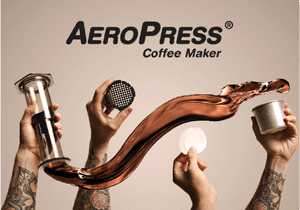 For espresso-based drinks, you can choose from two origins. One is always fruity, the other more chocolaty. We tried a double espresso made with a Brazilian naturally processed coffee and it was fabulous. It had notes of dark chocolate mixed with a touch of tropical fruit, the espresso had a full body and a smooth aftertaste. Almost as if you really had a bite of dark, quality chocolate. As for filter coffee, there are two coffees available every day. 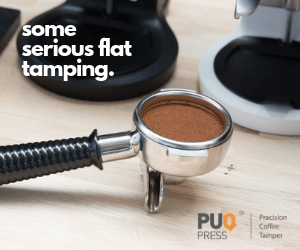 Either a V60, an AeroPress or a Batch brew, a trained barista will help you find the right one for you. 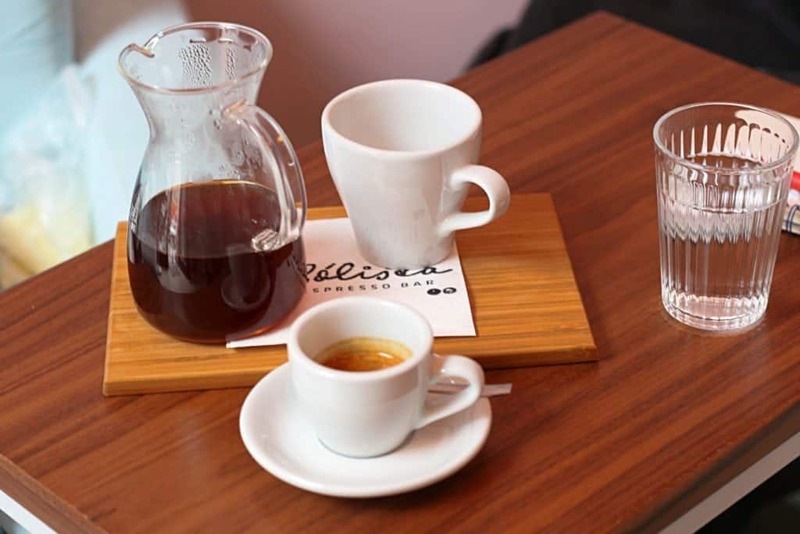 We tried a honey–processed Ecuadorian made in a V60. Last, but not least, for those with a sweet tooth, it is said that at Dos Mundos you can taste the best cakes in the whole street. To the locals, this might seem almost ironical, as there are several sweet shops around, specialised only in cakes. Right at Letenske square, you can find a multifunctional space called Ye’s Kafe / Studio. 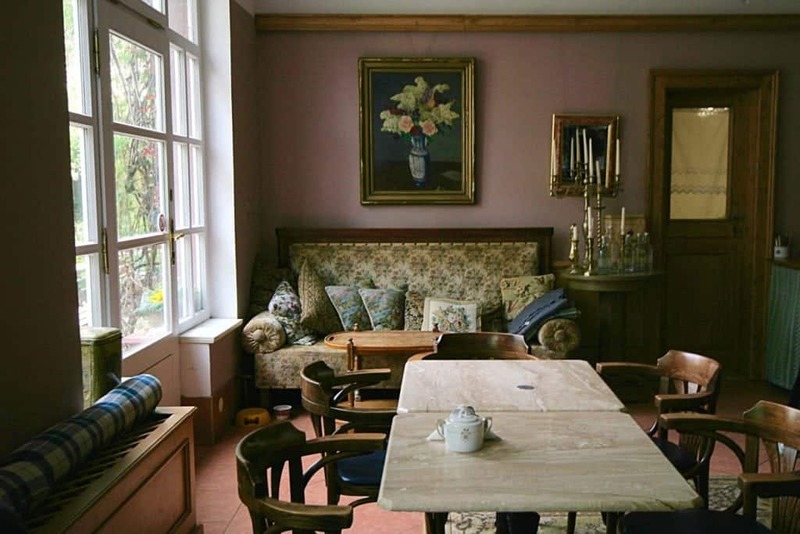 With an art atelier upstairs and a café on the ground floor, this place will make you feel very arty. There is only one drawback—Ye’s has got only a few spots to sit. 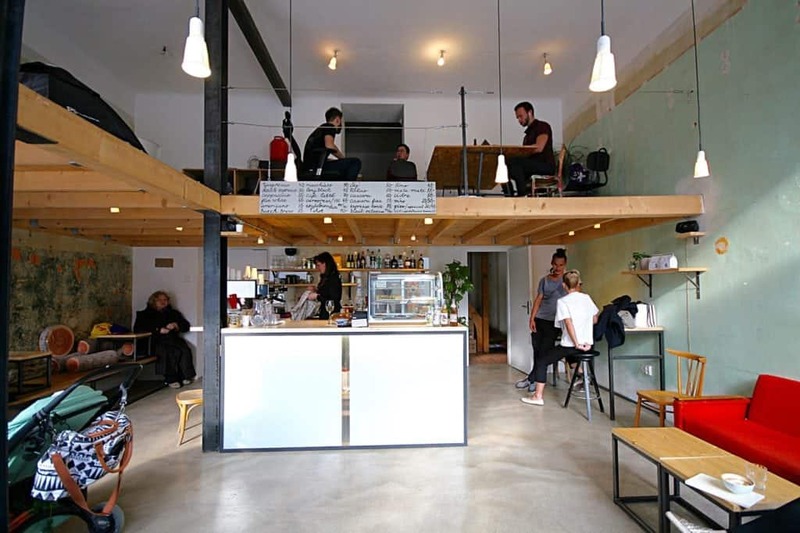 Despite its size, it is the perfect place for any coffee and art lover. 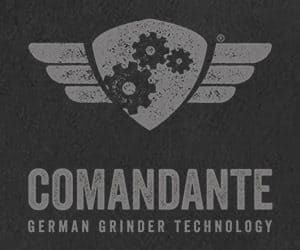 Especially those who prefer Bonanza Coffee, as they are still loyal to this Berlin-based roaster, both on espresso based and filtered coffees (you can choose between V60 and AeroPress brews). 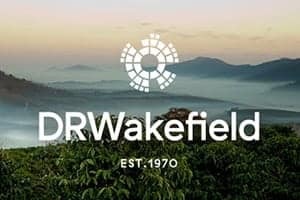 We were recommended to try their Rwandan on V60 and it truly was a great choice. It was fruity and juicy, but not too sour. Meanwhile, as I was writing this article, the whole interior of Ye’s Café had a makeover. The bar was redecorated, as were some crucial parts of the seating area. 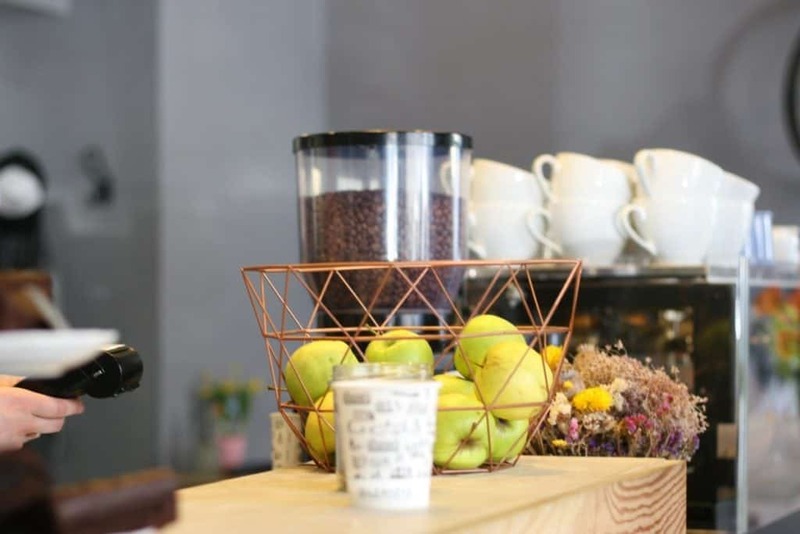 Even smaller than Ye's, Solista is the youngest speciality café in Letna. Yet it quickly found its clientele. In the short period of six months, it has proven to be taken into account as it really has got a lot to offer. Great doughnuts, cakes, sandwiches and cookies from local Czech producers is the least you can enjoy here. 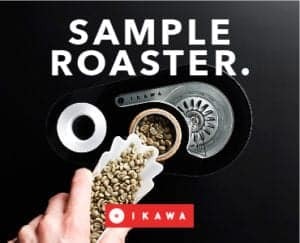 Additionally, working with the British roaster Colonna (who by the way produce also speciality coffee capsules which you can buy here! 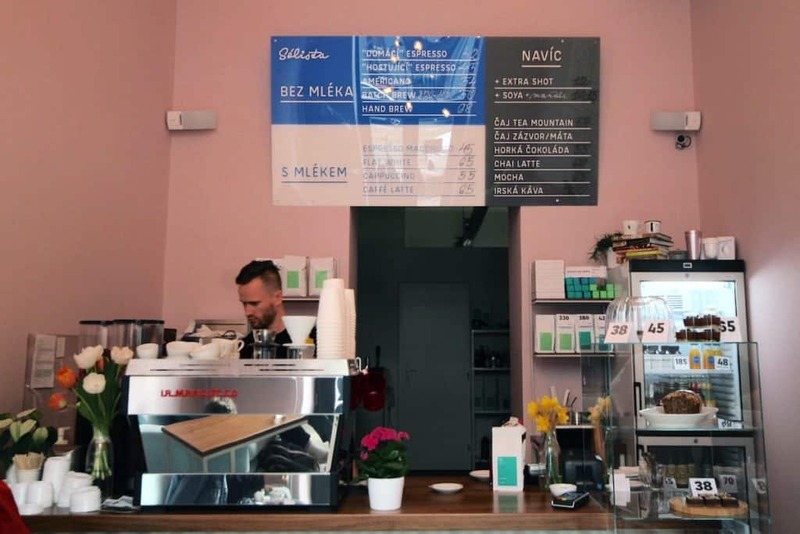 ), Solista is probably the only place in Prague where you can taste this coffee. However, every now and then, they serve also a guest espresso, for example from Square Mile Coffee Roasters. Their double espresso made from a washed Colombian coffee was very fruity, yet balanced and nutty in the aftertaste. But let’s get back to Colonna. As for filtered coffee, you can try either a batch brew or a V60. We decided to try a honey-processed Panama on the V60 as the batch brew is only available till 11:00 AM. That is a shame, especially if you want just a quick cup of coffee, as it took a while to prepare the hand brewed one. This coffee amazed us by its intensity. Sweet at first, yet with a significant acidity, we really enjoyed its long-lasting aftertaste. 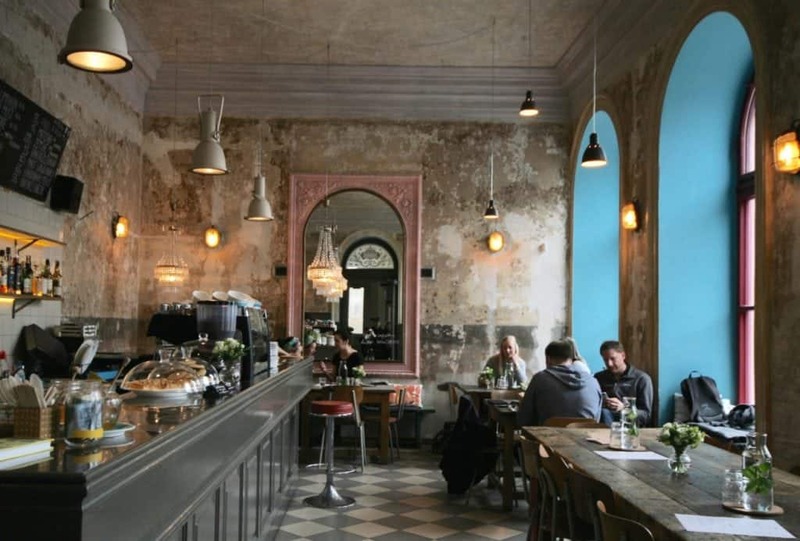 Located on the premises of a former theater bar, Café Letka differs from the others. With a closing time at midnight and several beer taps, it became the perfect combination of a café and a pub. 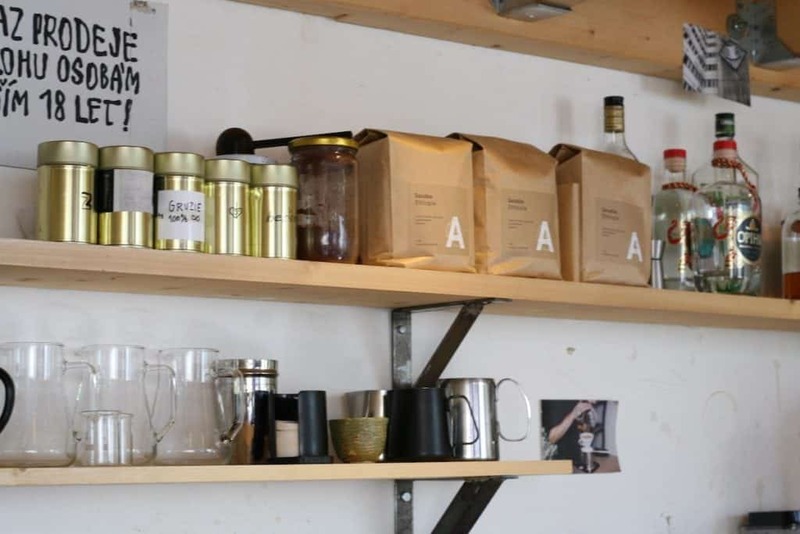 However, the emphasis on coffee is undeniable, for they work with the Berlin-based coffee roasters Five Elephant. 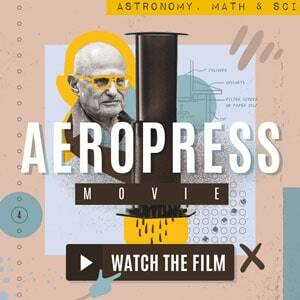 Unfortunately, they make only espresso-based drinks, so filter coffee lovers may be let down. Double espresso made with Ethiopian Biftu Gudina had several dimensions. Firstly, our tongue was hit with a strong citric acidity, which was then followed by fruity sweetness. The spiciness then came in the aftertaste. This complexity of tastes works well with milk too, although the acidity is much lower. What, on the other hand, was excellent were all the meals we tried. We recommend to spend a morning here and enjoy some of their breakfast egg meals, a chia pudding or an apple pie. This shop that is barely attracting any attention on the street level surprises you even more once you walk in. 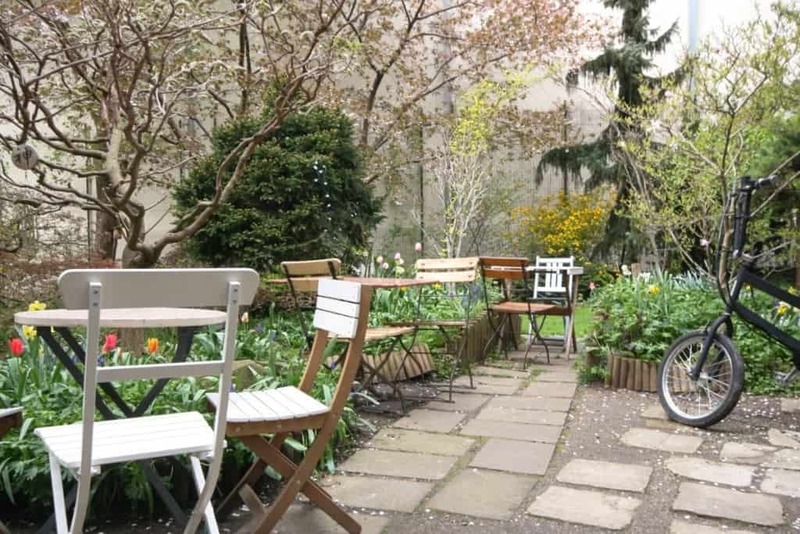 A huge and quiet garden makes this place an oasis of peace in the otherwise crowded city. Alchymista is well-known for their perfect and original cakes as well as their own coffee. Roasting it darker than the current trends, Alchymista found its customers among people who do not like bright coffees. Although the Panama espresso was not our favourite, the Zambian AeroPress – roasted darker, still – had some pleasant chocolaty and nutty flavour after cooling down. Give this cafe and its beautiful interior a try if you are into more developed coffees, you might find here something new and interesting. As the name suggests, coffee comes hand in hand with food, here. 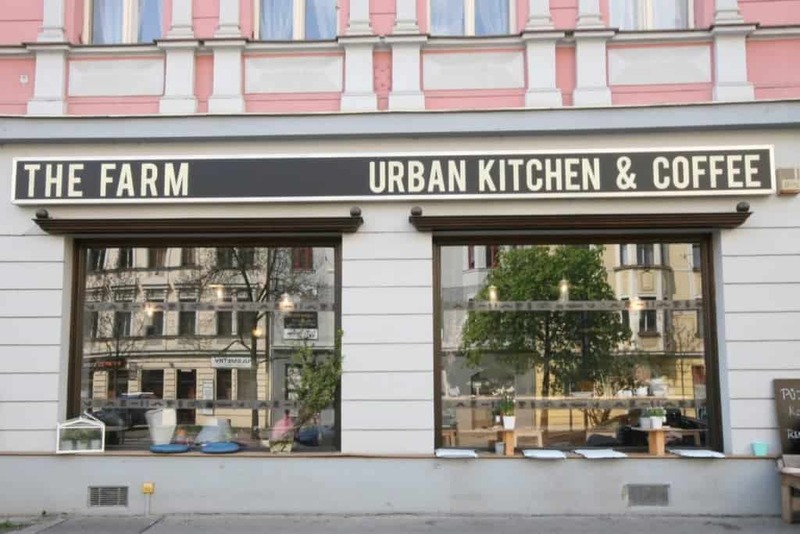 Popular among Prague hipsters, The Farm is a well-known weekend brunch spot. You can choose from a wide food menu; the best sellers are for examples The Full English breakfast or French toasts. During summer, we recommend you to sit in their courtyard terrace and enjoy some of their fabulous juices and lemonades. 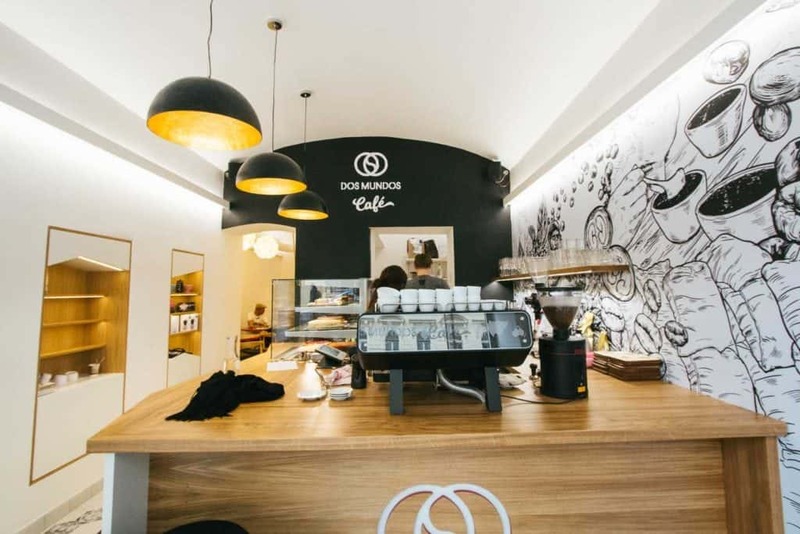 Here, the coffee service is also limited to espresso-based drinks, using Prague’s Doubleshot roastery. 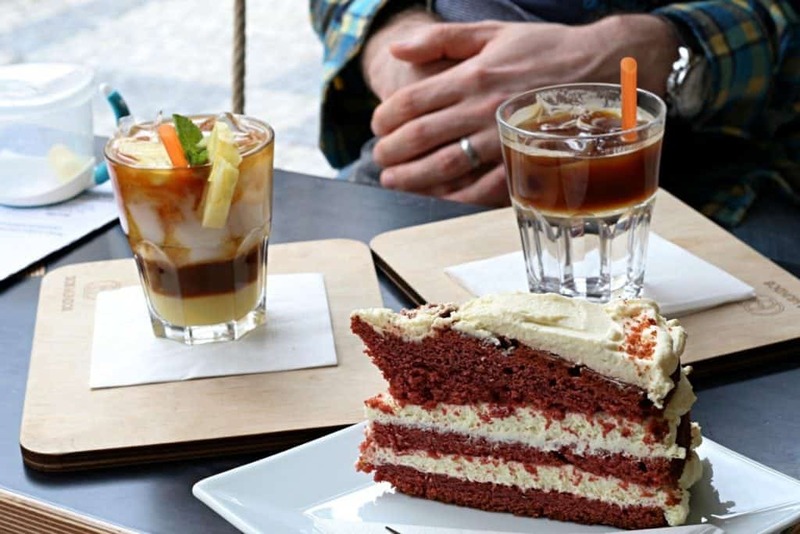 With a long lasting tradition, Doubleshot delivers coffee to a lot of Prague cafés. They are famous for its espresso blends called Tam Dem. The spring version comprises of a washed Ethiopian coffee (66.6 %) and a Brazilian naturally processed coffee (33.3%). Together, they make for a very complex blend, caused by an immense difference between the two origins. Here, we enjoy the Tam Dem in a milky drink, since it may be a bit too intense as a double espresso, which we usually prefer. Nevertheless, the Farm remains a great spot to enjoy a long brunch date in the Sun. Do you feel that is quite an overload of coffee and brunch places? I told you that Letna had a lot to offer! Take your time then and enjoy the atmosphere of this beautiful district which profits from its distance from the city centre. Either you will only pick one or two cafés, or will try to visit them all. I strongly recommend you to take your time.